(To read the entire "Our Communist Military" series, please click here. Michael C and I are writing the “Our Communist Military” series to point out contradictions. Logical inconsistencies. Cognitive dissonances. Believing one thing, but acting another way. To me (Eric C), the biggest, most stunningly-obvious example of this contradiction is Tricare, the military’s mostly-free health care system. Which isn’t shocking if you’ve been in the military, but is shocking if you read conservative milblogs. They hate--absolutely hate!--Obamacare. This Ain’t Hell decries Obamacare and “government-run healthcare” here, here, and here. A Soldier’s Perspective has a whole post on taking candy away from kids at Halloween to teach them about redistribution. First off, what do we mean by government-run health care? I mean zero co-pay health care provided at zero cost to the employees in the military. Free for every employee--and nearly free for dependents and retirees--it’s the single best health care package for any employee in America. Why does our red blooded, freedom-loving American military have a free health care system? Simple. Protecting our country is an incredibly dangerous job. By definition, soldiers put their lives and bodies on the line. We don’t want to make people pay for getting injured, maimed or paralyzed while serving their country. Other professions are dangerous (like crab fishing). Why do people do those jobs without similar health care packages? Because they pay well. Arguably, the military could save money by going to this system: pay soldiers a lot more and make them get their own insurance. Why don’t we go to that system? Because it’d be political suicide. Which brings us to logical inconsistency number one, the actual reason we provide government-run health care to our soldiers: what politician wants to tell a soldier who lost his legs in service of his country that he has to pay for the amputation himself? Especially since 30% of bankruptcies come from health care costs. We don’t want our soldiers going bankrupt paying for injuries they receive on the battlefield. So we’ve instituted free health care for millions of Americans er, soldiers. Has Congress tried to change this system? Any attempt by Congress to change the Pentagon’s health care system--especially increasing co-pays for dependents or retirees--is instantly pounced upon by conservatives (especially milblogs) as screwing the troops. This Ain’t Hell has a post titled, “Your “free health care” will get more expensive” followed up by “Your free healthcare just got more expensive”. If Tricare/government-run health care is incompetent and terrible, why do we punish our soldiers by forcing them to use it? If Tricare works, it means government-run health care works. If it doesn’t, it means we’re punishing our soldiers by forcing them to use it, hurting the heroes who protect our freedoms from Nazis, communists and terrorists by making them use government-run health care. We can’t get rid of it, though, without conservatives (especially milblogs) accusing the President and Democrats of hating the troops. Why don’t conservative pundits and politicians and VA groups push for a Department of Defense voucher system? Or a privatized insurance program? Or any option other than government-run health care? The military, according to conservative/anti-Obamacare logic, should provide insurance to its soldiers, like other companies. Better yet, why not move to a voucher system, like the one Paul Ryan proposed for Medicare? If those are truly better free market options, let’s use them. And how can you complain about Obamacare--literally write that Obamacare will destroy this country--without arguing against the health care system you used when you were in the military? Without arguing that we need to get rid of it? These are all inconsistencies. We love the troops, so we give them universal, no-cost health care. But universal no-cost health care doesn’t work, but we don’t offer alternatives. And so on. it’s just another inconsistency. Yeah, health care should be free. I actually dislike when milblogs discuss/obsess over domestic politics, discussing and debating Obama’s reelection, Obamacare, taxes, etc, when nominally they are blogs on the military. The military should embrace non-partisanship. Yet, by diving into this topic, I dive headlong into the same rabbit hole. Apologies. I’ll second EC’s thoughts. This series is political with a deliberately provocative title. We know that. At the same time we hope we are reflecting on the Army’s culture, which too few people do. 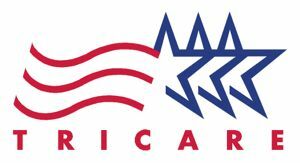 I can’t argue the inconsistencies, but I will point out that as a military dependent I have actually had an overall positive experience with Tricare. I had doctors who absolutely incorporated my wishes into birth plans and gave me a lot of control during each stage of the process. I was even encouraged through a VBAC, which is NOT something that happens often in the civilian world. It’s true that getting care can be a lengthy process, but I haven’t found it to be outrageous or the quality of care to be subpar. For example, I began having nerve issues in my arm last fall. I did have to see my PCM before I could get in to a hand surgeon and the hand surgeon took a month to schedule with, but in the interim they ordered testing so it wasn’t a total waste of time. The hand surgeon, stationed here at our local MTF is phenomenal. He essentially corrected a surgery botched (unbeknownst until now) by a civilian surgeon years back. He’s also using this post-op time to contact cutting edge companies about a much needed full joint replacement. I understand that some people have heinous experiences with Tricare, but there are some very qualified and caring personnel in the system as well. I am thankful every day for the Tricare benefits we receive in exchange for my husband’s active duty service. Well, if it works, that’s mostly just an argument for government health care. Though I think that a lot of conservatives hate Tricare, I don’t have any experience with it. Well even if Tricare were to always be a competently functioning form of government run healthcare there are still plenty of other questions and arguments to be raised about the overall packaging and implementation of “Obamacare.” I just felt like some anecdotal counterargument to Tricare’s ineffectiveness was worth noting.